I am an exceptionally fun loving person. I like to make the best use of each moment that passes away. So I have designed my entire house accordingly. I have furnished the most parts with the wooden pallet recycled creations and they just earn me a lot of respect and appreciation by all the visitors of my house. 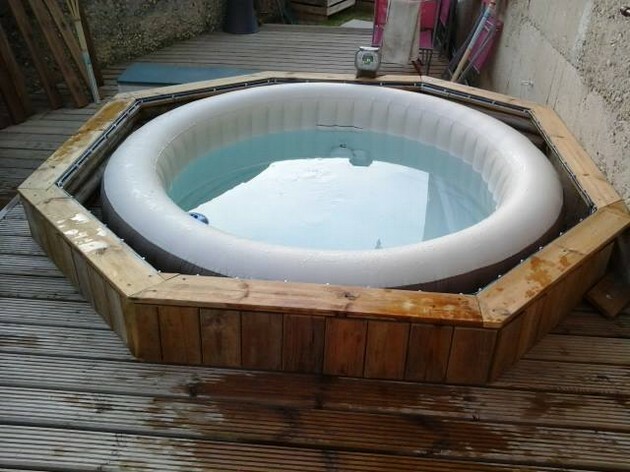 This time I am talking about a patio pallet bathing tub which is again something contrary to the common routines. 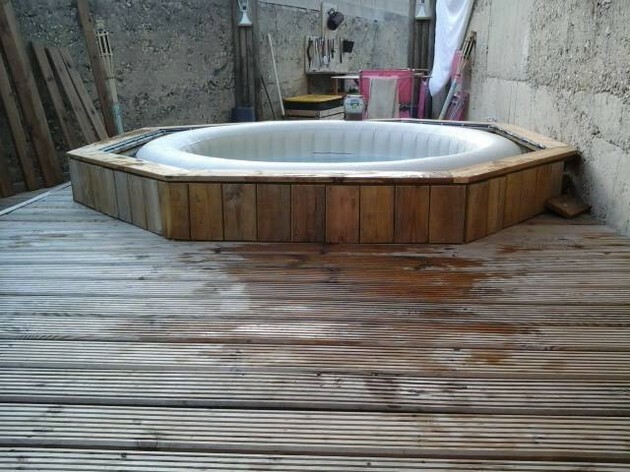 If you have a spare bathing tub, just bring it out in the open and cover it with the patio made cover and spread the wooden flooring all around. The project I am talking about is pretty amazing. As here you can see the wooden pallet ladder that is connecting to the high from ground wooden pallet flooring. 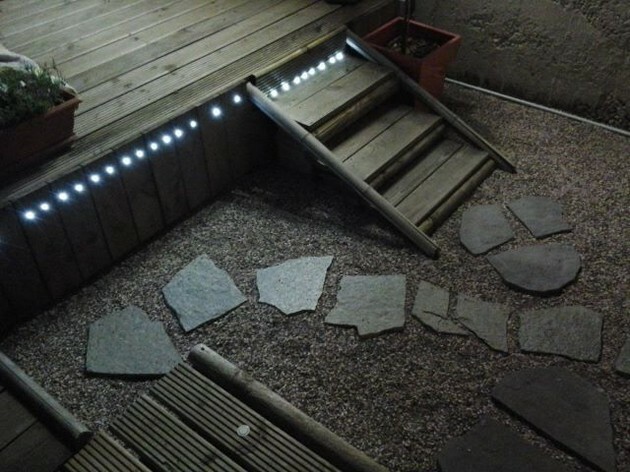 Plus we also did some lighting work inside the entrance deck. This wooden pallet ladder leads to the wooden flooring that is again done with some fresh and sleek pallet wood planks. 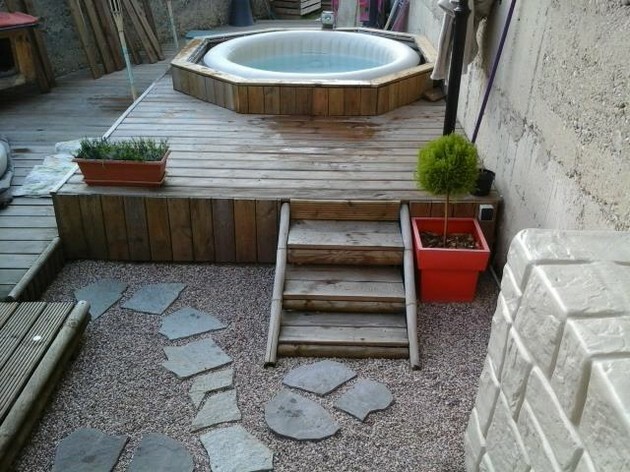 And on the other end we see a beautiful set up created for bathing all surrounded with the wood pallet. This is an amazing addition in your patio. Look at the main entrance or the passage way that we have created for this distinguished wood pallet project. 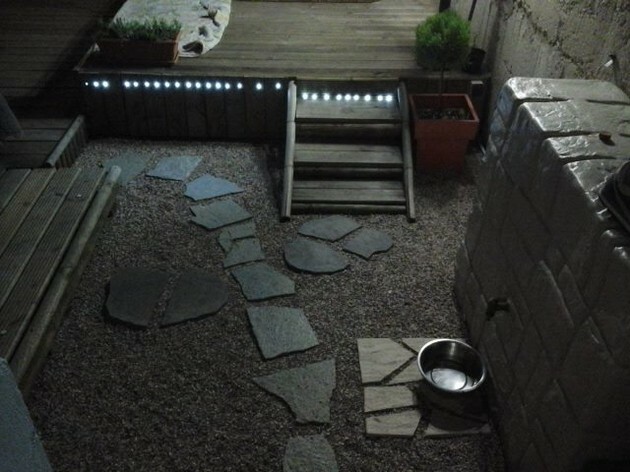 In the whole project we have taken help from the wood pallet planks except a couple of tiny lighting bulbs and ofcourse that bathing tub that was a spare one and was laying in the backyard. Don’t be specific for the bathing tub material. This could be anyone according to your choice. The main focus should be the rest of the set up that is all made using the repurposed wood pallet. This is going to be a real fun place for whole lot of the family.